Zonta International District 22 | » Zonta Club of Caboolture Inc.
Zonta Club of Caboolture Inc.
Caboolture (4510) is a township, some 43 kms from QLD’s capital city of Brisbane. Caboolture is in the federal electorate of Longman and is part of the Moreton Bay Regional Council. In the 2011 Census the population of Caboolture was 21,929 and comprised of 51.4% females and 48.6% males. The median/average age of the Caboolture population is 34 years of age, which is 3 years below the Australian average. 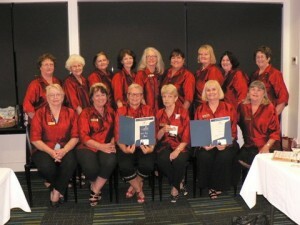 The Zonta Club of Caboolture Inc was chartered on 3 August 1993. The Charter Presentation Dinner was held on 14 September 1993 in the Supper Room of the Caboolture Memorial Hall. The 1992-1994 Zonta International President Sonja Renfer was present and also the then District 24 Governor Mary Magee, who later became Zonta International President. Of the 25 Charter Members only one is still a current member in the Club. 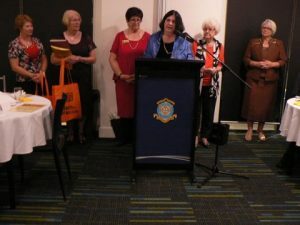 The Zonta Club of Redcliffe Area was the Sponsoring Club. Our club consists of an elected Board ie the President, Vice-President, Treasurer, Secretary, and two Directors. The Club’s structure is underpinned by the three mandatory Committees of Service, Advocacy and Membership which are supported by the Finance and Fundraising, Communications and other Committees. As a joint venture with BPW North Lakes, we provide handbags containing personal items for women who are either homeless (and/or) escaping domestic violence. When women have to pack up and leave a violent situation in a hurry, they usually are only concerned for the welfare of their children and not themselves. So, these little packs ensure that they are able to manage for a few days. We supply most of the northside of Brisbane and Moreton Bay Regional Hospitals with our Breast Cushions, approximately 300-400 a year. These are presented to women who have undertaken breast surgery, either a lumpectomy or a mastectomy. The cushions give women great comfort after surgery. They can be tucked under the arm for support while she sleeps, used to protect from the pressure of a seat belt, worn under normal clothing, when a woman is shopping, so that if anyone bumps into her, she won’t get hurt. On a regular basis we get together to cut out, sew and stuff our breast cushions. These days are wonderful for friendship and fellowship. These awards were started approximately 17 years ago. Members were aware of educational and high achiever awards, but, we thought it would be nice if, every year we awarded a bursary to a Year 11 female student who had tried her best, and even through adversity and hardship, still managed to keep going and not give up. These are now called the Banksia Awards (the Banksia was the floral emblem of the former Caboolture Shire when the Banksia Awards commenced). Every year we give a small bursary to young Year 11 female students in thirteen (15) high schools in our locality. We work closely with CADA (Centre Against Domestic Abuse), The Haven and CCA (Caboolture Community Action). We have helped in a practical sense by donating food and Baby Packs, and Christmas Hampers to those in need. In November we provide practical and advocacy support during the 16 days of activism against domestic violence. The 16 Days of Activism Against Gender Violence is a global campaign to raise awareness about violence against women and its impact on a woman’s physical, psychological, social and spiritual well-being. Human rights cannot be universal without human rights for women. The 16 Days of Activism begins on 25th November on International Day for the Elimination of Violence Against Women and ends on December 10th International Human Rights Day. These two dates highlight that violence against women is a human rights abuse. Safety Cards are printed and distributed throughout Moreton Bay Shire in conjunction with Pine Rives and Redcliffe Zonta Clubs. Every year as part of Zonta International’s program, we get together to pack Birthing Kits. They are then distributed to developing countries by way of the Birthing Kit Foundation Australia. These kits are to ensure a clean and safe birth to women in developing countries. They consist of a sheet of plastic, rubber gloves, a piece of gauze, soap, a sterile scalpel, and a piece of string. We know that we have saved the lives of many babies and women due to these kits, as one of the most common reasons for infant mortality in these countries is tetanus, due to unsafe birthing conditions. We allocate fundraising funds annually to ensure that women and their families have a Christmas that they can enjoy. We have eager shoppers in our club, who love shopping for Christmas food. We distribute food to the organisations in our area that are most at need. In 2008 Dragons Abreast Bribie Island was established, and Zonta Caboolture became a major supporter, by purchasing the first dragon boat in 2009 for them. In 2014 we had a major fundraising event to help them purchase a second boat. 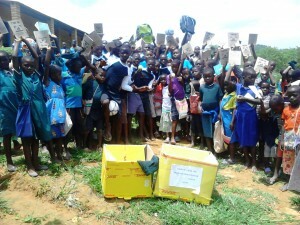 Every year we donate items such as any medical and educational goods to send over to Malawi. Fight Like a Girl is a personal safety and martial arts course for young women in high school. The course aims to develop personal attributes of confidence, and empowerment. It also teaches the girls how to recognise controlling and bad relationships. The course is delivered by a highly qualified and very experienced female martial arts instructor. After a very successful trial program last year in one of our High Schools, we have adopted the program again this year (2017) and we will be offering it to fourteen high schools in the vicinity. This year we are funding an Adult Literacy Grant for two women who wish to improve their literacy skills in order to gain employment. Employment leads to improved family and community life. An enthusiastic Finance and Fundraising Committee meet monthly to discuss and brainstorm various ideas to fundraise for our club. For 2017, we have a monthly BBQ at Bunnings, Morayfield. Our fundraising efforts in the past have included a Fashion Parade and High Tea and multi-draw raffles in September, gift wrapping at Morayfield Shopping Centre for Mothers’ Day or Fathers’ Day and Christmas. We actively seek helpers to join us in fundraising and friendship. All welcome. Membership growth and fluctuation has varied between 6 in 1998 and 26 in 2011, with 16 members in 2015. The average membership from 1993 to the present is approximately 18. For example: Women faced with emergency caesareans in Australia mostly go on to have healthy, live babies. In developing countries, girls are married young, often too small to give birth naturally and when difficulties arise they are left with a fistula (hole) in either the bladder or bowel. The result is that their lives are ruined – for a long time, and sometimes forever. It is just a matter of geography. It requires only a simple operation to fix the fistula, but that is often beyond the capabilities of the medical expertise and resources of the poor countries and communities. We can help with that. Zonta looks to improve the legal, political, economic, educational, health and professional status of women and girls. We work for a life free from physical or emotional violence and promote peace in our communities and the world, as women tend to suffer the most in all conflicts. Zonta allows women to act together with likeminded members of their community, to take up tasks which apply to all of these areas, some locally and some through Zonta International and our overseas Projects. Women who are aware of problems faced by women and girls can achieve great things if we work together with a plan which is researched and devoid of corruption. Getting the money and assistance to where it is needed is the challenge and through Zonta, we have a way of showing empathy and compassion for the less fortunate, by working in all the areas which Zonta has included in its Code. Check out our Facebook page and look up the www.zonta.org website for more information. The Club meets on the Last Wednesday of the month at Bobbio’s Restaurant (St Columban’s College) entrance from Mewett Street, Caboolture (near Woolworths Central Lakes Shopping Centre) with dinner commencing at 6.30 pm. If you are interested in attending any of our meetings or functions please contact Patricia Clunes on 0410 617 825 or send an email.